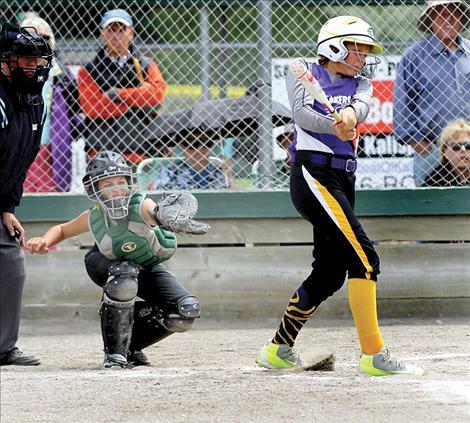 KALISPELL – The Polson ASA 10U Lil’ Lakers finished fourth at the state tournament held in Kalispell Friday, July 8-10. 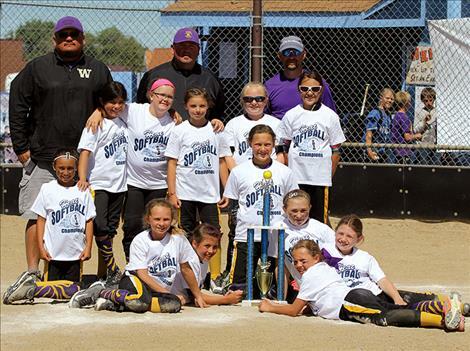 The 10U team finished higher than any of the other Polson teams that were entered. The 10U Lil’ Lakers played in their final game against the Missoula Osprey on Sunday, July 10. Polson led the game until the final inning when the Osprey scored five runs to take the 11-9 victory. Through out the weekend, the Lil’ Lakers defeated Billings Big Sky Blitz, Kalispell Emeralds, Bozeman Stealers, and the Ronan Maidens. Their other loss came from the Missoula Avalanche. Polson ended with a 4-2 record on the weekend. 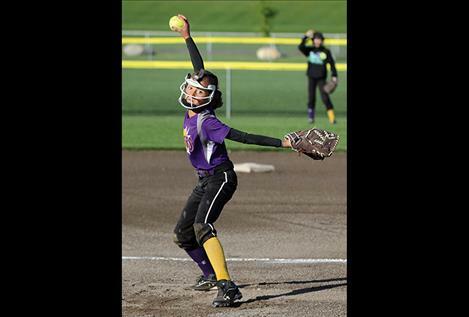 Nikki Kendall pitched all six games at the state tournament for the Lil’ Lakers and teammate McKenna Hanson, catcher, had an outstanding state tournament hitting, according to Coach Bob Gunderson.